Home How It Works How do I make QR Code? How do I make QR Code? The QR Code revolution has evolved from relative obscurity to global use and all this seems to have happen in no time. These two dimensional codes were first invented back in ’94. They have however only just gained popularity among the common man and that is why they seem to crop up almost everywhere you look. From billboards, magazine ads, products packaging, grave stones and even on clothing. These codes make it easy for you to follow different web links that are found in printed documents. To decode a QR code, you simply launch the scanning/reading app installed in your smartphone and scan the QR Code. You can alternatively take a photo of the QR code and scan the QR code from the gallery. In a sense, Quick Response codes are modern forms of barcodes. A standard barcode has been made with enough numerical information to only identify a specific product at any checkout. On the other hand, a QR Code has alphanumerical data that is able to define website URLs. This is achieved by adding dimension to the QR Code. The information encoded in a 1D code is stored in a single direction. However, a 2D barcode is able to contain a greater amount of data. QR Codes somewhat resemble a chequerboard. You have probably scanned a QR code before to get more information on a company or product but have never thought of incorporating it to benefit your business. These codes can benefit your business and they are not as tough to create as they look.You can include them in your business card or even, newsletter. What’s more, since a QR Code can contain contact details and internet addresses, it can be added to the section for Contact details on your website. Make sure that you create a QR Code that has been optimized for mobile view. 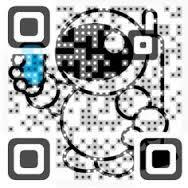 Reason being, a larger number of people scanning the 2D code will be using their mobile phones. Keep it simple.These codes are meant to replace links or information a person would have been forced to memorize. So, don’t stuff the QR code with too much information or color. Make it easy to read. This means that you keep the code clear of shadows, text or objects which hinder its scanability. Make the code meaningful: Do not create the code just for the sake of it.The information inside should be add value to the person scanning the code. How do you get a QR code?